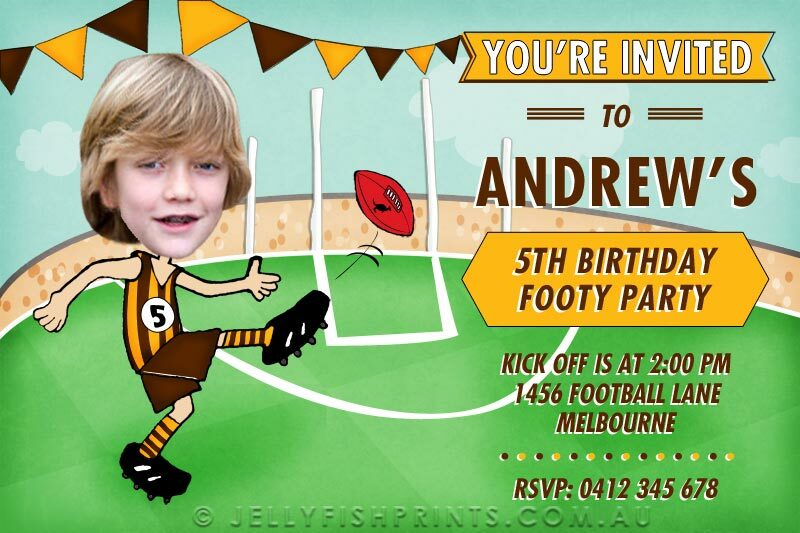 Kick start your party with our AFL Birthday invitations.. We have created a unique design which allows us to take a photograph of your little boy or girl and place your childs face on top of our star football player kicking a goal. We can even dress the player in your favourite teams colours. 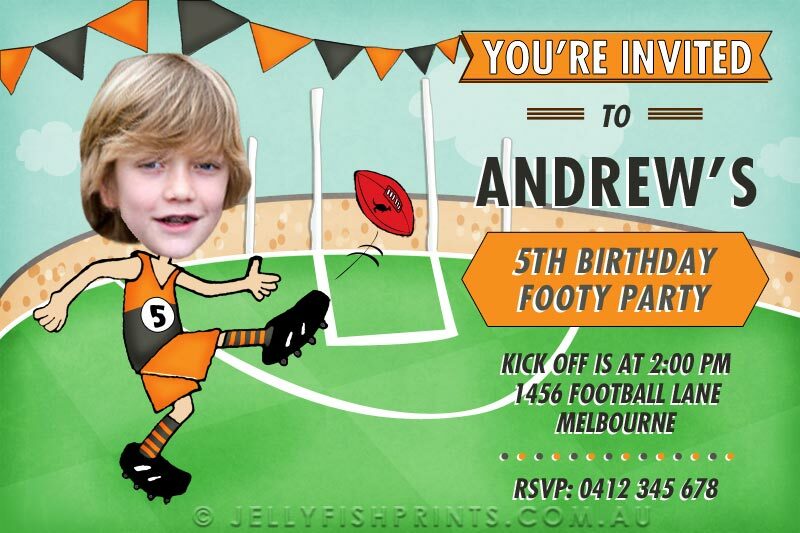 Your child will love these personalised footy invitations. 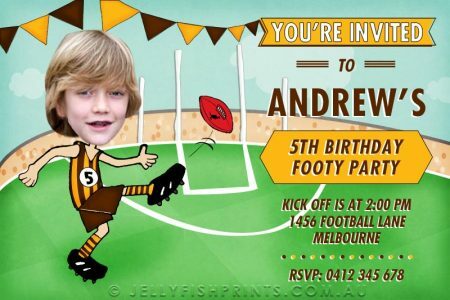 These printable AFL Birthday Invitations are set with a player kicking a football on a footy field with goals in the background. 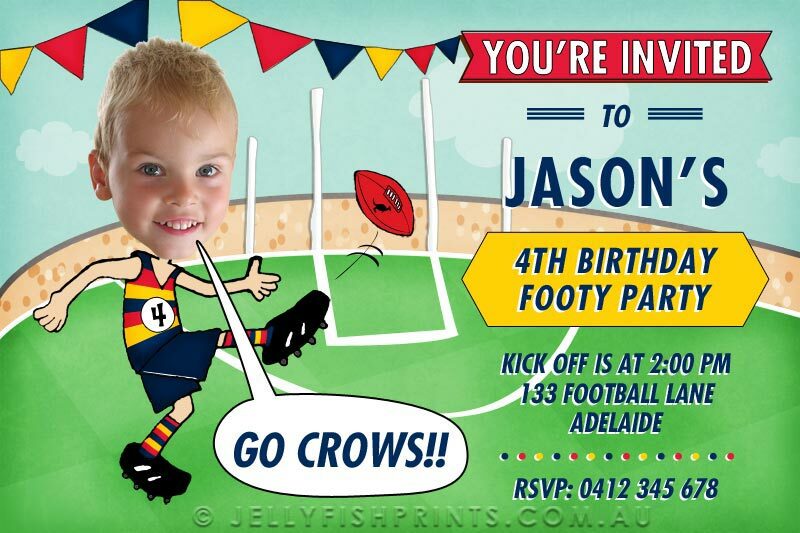 We will feature a photo of your child dressed in party theme colours of your choosing. Please let us know what colours you prefer. The age of your child will be featured on the front of the Guernsey. We can change the wording to suit your needs and there is a bit of space for you to add extra wording. 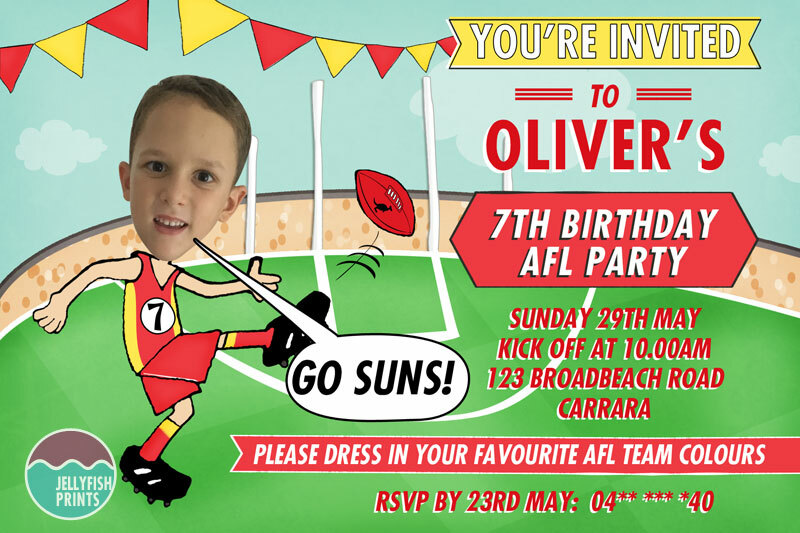 If you would like a speech bubble with additional wording like “Go Hawks” or “It’s my Birthday” please let us know in the ‘extra information’ box. 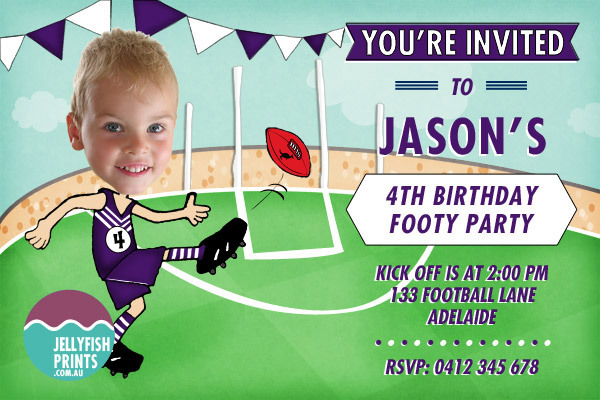 NOTE: Please do not ask for a team logo to be incorporated into your invitation design. We would love to add it for you but we do not have the rights to use the design. 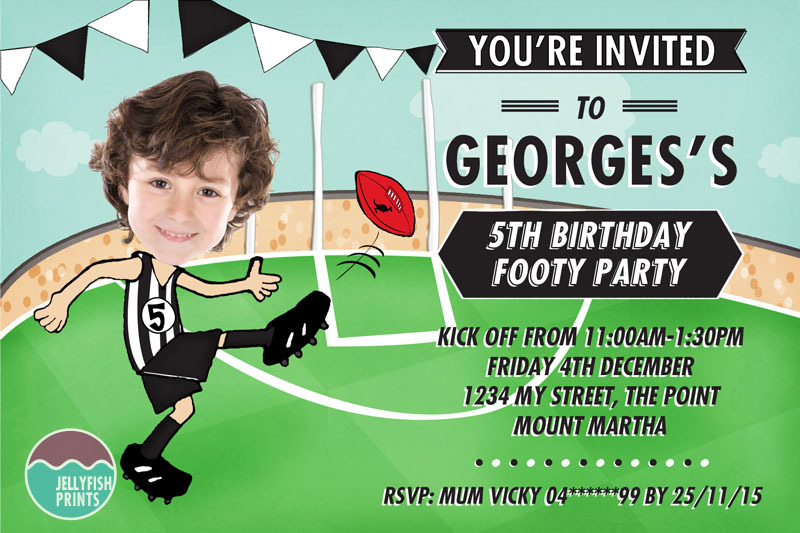 You will receive a customised “print it yourself” digital invitation JPEG file. 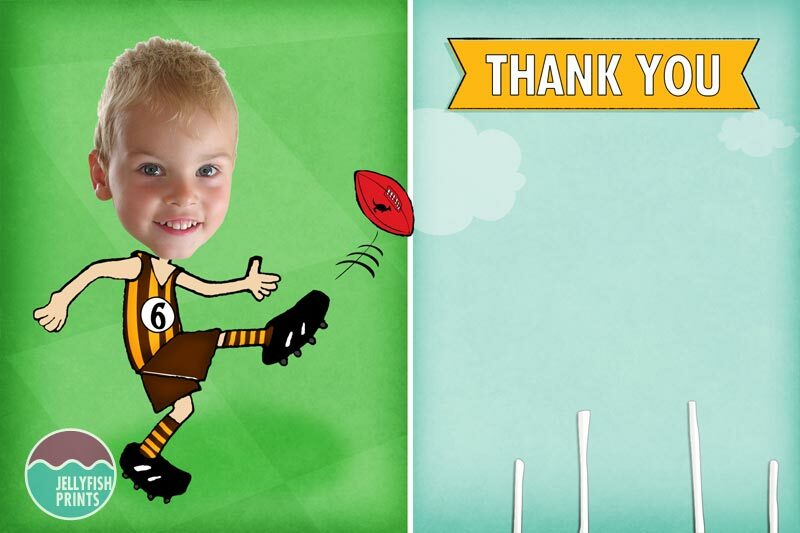 You will also receive a FREE thank you card. Emailed to you and ready to print at your local photo lab or on your home printer.